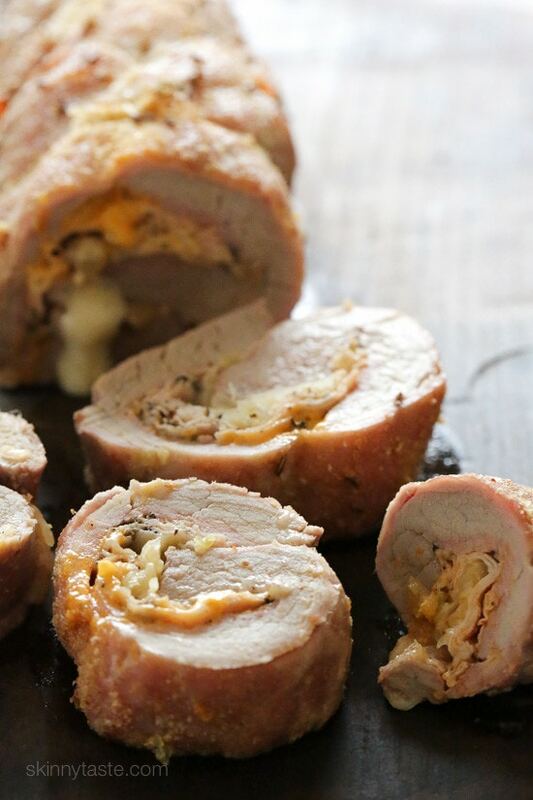 This Reuben Stuffed Pork Tenderloin is stuffed with all the elements of a classic Reuben sandwich – pastrami, sauerkraut, Thousand Island dressing and Swiss cheese! I was trying to think of ways I could enjoy the elements of that sandwich without actually having a sandwich and this idea came to mind. I felt pretty good it would work, because if you have The Skinnytaste Cookbook, you may be familiar with my Cuban Sandwich Stuffed Pork Tenderloin which is a similar idea. This turned out even better than I could have imagined! The pork with juicy, cheese was hot and melted and this had so much flavor. 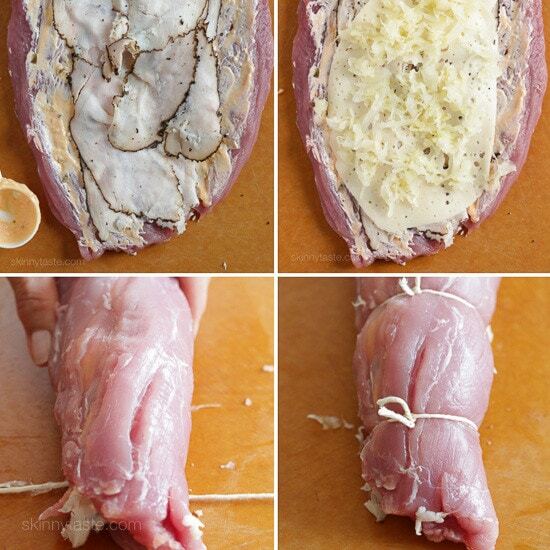 Pork tenderloin is very lean cut, if you don’t eat pork, you can use a turkey tenderloin instead. This Rueben Stuffed Pork Tenderloin is stuffed with all the elements of a classic Reuben sandwich – pastrami, sauerkraut, Thousand Island dressing and Swiss cheese! Cut a lengthwise slit down the center of the tenderloin to within 1/2- inch of bottom (careful not to cut all the way through). Open tenderloin so it lies flat. On each half, make another, lengthwise slit down the center to within 1/2-inch of bottom; cover with plastic wrap. Flatten to 1/4-in. thickness with a mallet. Combine the garlic powder, salt and caraway seeds in a small bowl; rub the mixture over the pork. Place on a rack in a shallow baking pan; bake, uncovered, at 425° until a meat thermometer reads 160°, about 35 minutes. Transfer to a serving platter or cutting board. Let it stand 10 minutes before removing string and slicing. 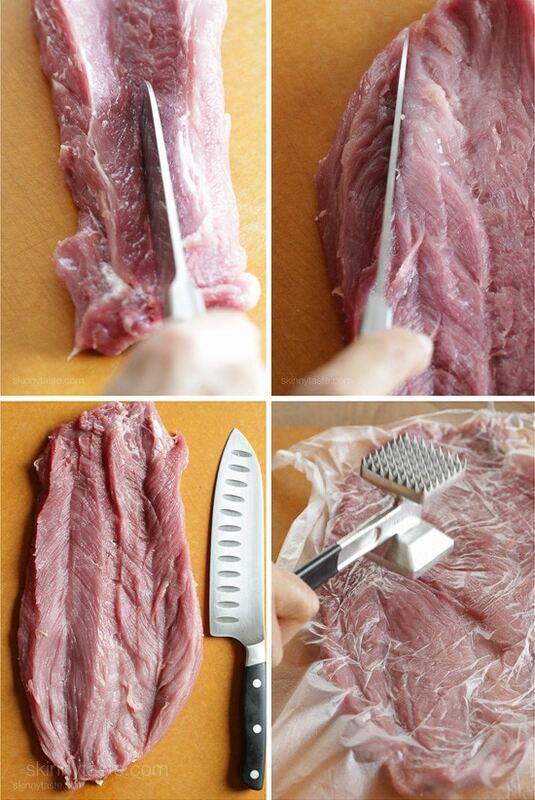 Slice into 8 pieces. Gina,I don’t know what to say…your recipes never fail and this is no exception! I don’t even like Reuben sandwiches but this was phenomenal. We have been cooking your recipes all week religiously, kid and husband approved! Thank you for such dedication and talent!! This definitely makes cooking a joy, much easier, simple and healthy ingredients, and quick!!! Thank you for getting me out of a cooking rut while doing WW!! I absolutely love Rueben sandwiches, so this was a recipe from heaven. I will make this over and over and over again! I made this last night in triplicate so that we could share some with friends who just brought home twins, and also invite my parents to dinner. It was a big hit all around. REALLY delish. I would highly recommend this dish! So good but had to chg it up a little….used turkey pepparoni, cabbage instead of saurkaut and everything sprinkles because we didnt have just caraway seeds. Yummy! This is amazing! I love ruebens but the family could take them or leave them so I have passed this recipe by one too many times. I finally decided tonight I’d give this a try and man am I happy I did! I was actually hoping they wouldn’t like it as much as they did so I’d have leftovers just for me! Good news is they loved it and it will go into the regular rotation. I did have to cook it a bit longer than the directions so I was really nervous that it was going to be dry but just as others have said, it was so tender! I made it with your baked fries with garlic aioli and it was perfect! What’s better than a rueben with fries without consuming a week’s worth of points?!?! As always, thank you Gina for all the incredible recipes! Delicious!! I use corned beef sliced thin and drizzle thousand island on slices before serving. Looks like you spent the say making this simple recipe to wow guests! Another successful dinner. This is the second time I’ve made this and my family loved it, again. Just made this, it is excellent! Even my family members that turned their nose up at sauerkraut loved it! Quick and easy too! In the Nutrition portion, you have 0 for saturated fats, can this be? I’ve been looking at this recipe for ages and I def need to make it soon. So great! Made some skinny mashed potatoes and roasted brussels sprouts with it. A filling, delicious dinner! Absolutely delicious. This was a lot easier to make than I thought it would be and it came out so well. One of my new favorites. Is this still 5 points on the new Weight Watchers Freestyle program? Made this tonight and it was so freakin’ good! Just roasted some potato wedges and carrots in the oven at same time. The 35 minute bake time was spot on. 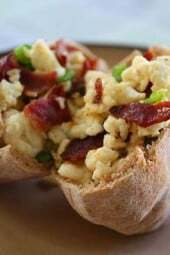 My husband really does not like pork but this recipe changed his mind. Full of flavor. Might thin slice the leftovers tomorrow for a salad topper for me and thin slice it on rye with some extra thousand island and sauerkraut and panini it for him. Do you have a recipe for the Thousand Island dressing? I would love to make this, but that isn’t an item we normally keep on hand, and I don’t want to buy a bottle for 3 TBS. Bolthouse Farms used to make a yogurt based one, but its been discontinued. I made it with this thousand island dressing. 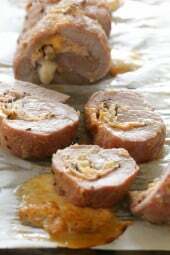 Gina, this tenderloin recipe is brilliant, my son (14) said its best pork dish he had ever tried. Thank you!!! I made this tonight and it was a big hit with my 3 men. Thanks for a great recipe! Absolutely amazing. My pickiest eat loved this! Keep up the good work!! This was wonderful. Will make often and will be great for company too. Thank you! Can I make this is the slow cooker? I’m making this for a bunch of friends this weekend and need to make 3 to feed everyone. Do I need to increase bake time with all 3 in the oven? I made this the other night and we LOVED it. 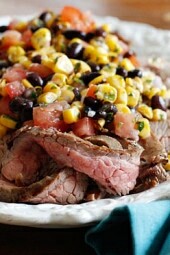 Moist, flavorful and such a surprisingly large portion. Gina, your recipes are brilliant! It makes being on Weight Watchers a pleasure. Thank you so much! A HUGE hit at our house. I’ve already made it a few times. Served with cauliflower mash. Made this for Easter and it was a HUGE hit!!!! So easy to prep and came out wonderful. Made this tonight. 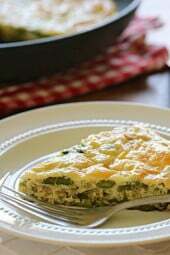 Delicious and not difficult at all! Will this work with beef pastrami? Could not find turkey pastrami. I made this a few nights ago and it was OUTSTANDING! Thank you! Made last night yum. I did not have caraway seeds sub fennel seeds and added little cumin. Love it!! I just made this tonight and it was great. Very different and really pretty easy to make. I had to cook mine a little longer than 35 min….maybe 40 but could not have come out better. Great recipe! I can not wait to try this and the Cuban sandwich! I have a huge cooker of corn beef and cabbage cabbage cooking today and am thinking I may even try this recipe with it! It has no fat that is visible at all so should be a Healthy substitute also. I love your site and I just went to Amazon to get your book and and read all the RAVE reviews and all the regular awesome delicious sounding recipes they make and can hardly wait for the book to arrive!!?? We are on the low carb/no carb 6-8 small meals a day and think you will be a blessing and an abundance of help!! Happy St Patty's Day, Happy Easter, Happy Everything!! I don't eat pork. What can I substitute for it? Brilliant idea! I will definitely be making this soon. I don't remember ever seeing turkey pastrami, and I'm wondering where you found it. I love that the points are low, too! Thanks for this, and ALL your wonderful recipes!! I love the cuban pork loin. I can't wait to try this!!! I'm pretty excited about seeing this recipe! Been stressing out this morning about getting my corned beef and cooking it….and am always disappointed. But, I just so happen to have a 1.55 pound pork tenderloin in my freezer which I am defrosting already, and can't wait to get a few more ingredients so I can make this tonight! YAYE for Skinnytaste to the rescue! I made this tonight and it was delicious! Thanks, Gina! Very clever and tasty looking dish Gina. I have been wondering what to do with some left over sauerkraut, now I know. Is it too early to ask when your next cookbook will be out? 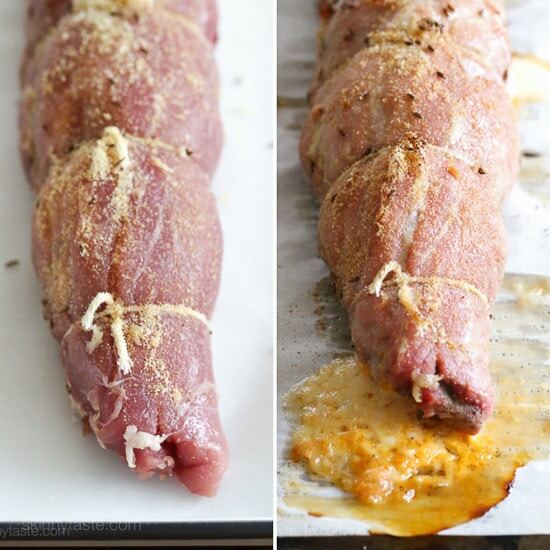 This pork tenderloin looks sooooo good. You had me with the cheese oozing out the end. This looks amazing! Can't wait to try! !